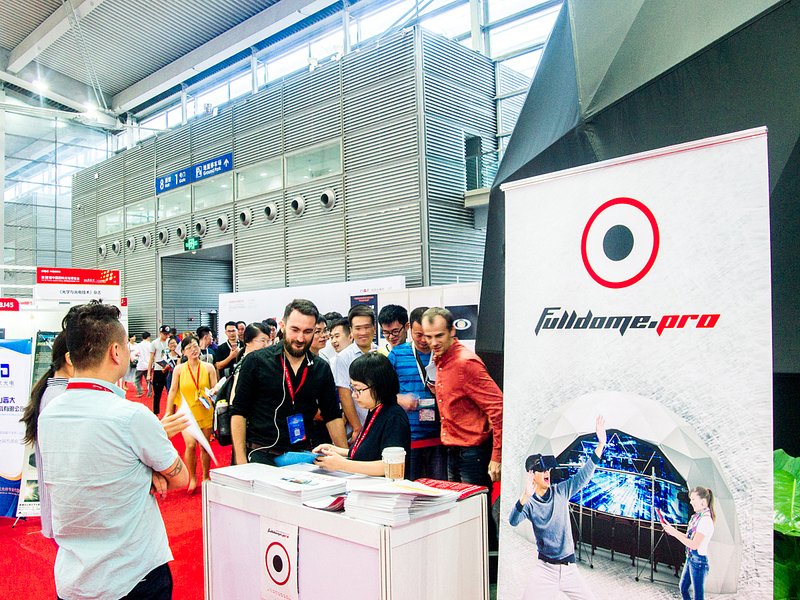 In September 2016, we installed a 10 meter (33 foot) diameter closed dome at the Shenzhen Convention and Exhibition Center for the 18th China International Optoelectronic Exposition (COIE). 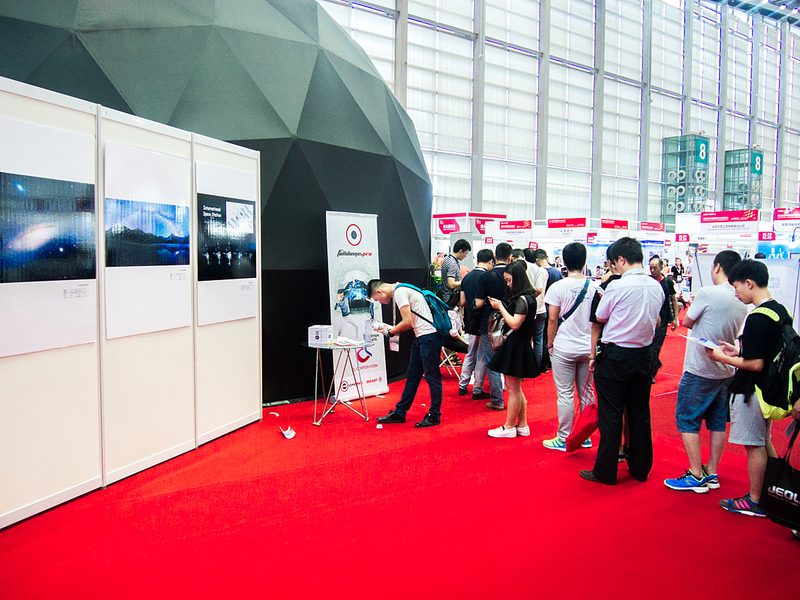 The four-day expo showcased cutting-edge innovations from the fields of as diverse as biophotonics, quantum communications, optics, and augmented and virtual reality technologies. 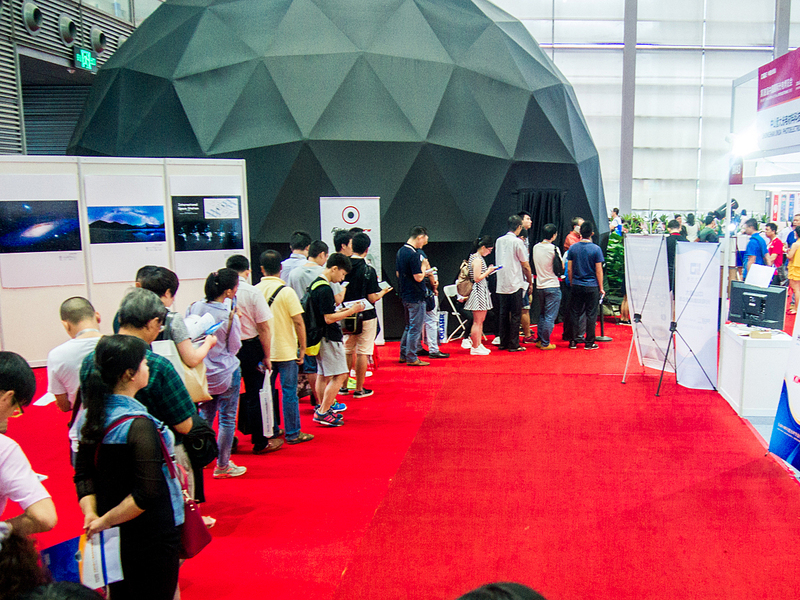 There were almost 4,000 visitors to the dome, many of them new to fulldome cinema. They enjoyed the immersive thrills of “Flight of Fancy”, which takes the audience on a record breaking parachute jump from the edge of space, to a subterranean aquatic journey. Those who were a little more familiar with fulldome cinema were impressed by the portability of the dome and the ease of system operations. All agreed that there is a place for fulldome cinema outside of the traditional museum and science center environments and this was reflected in fresh interest from education technology companies in addition to the usual astronomical science organizations. 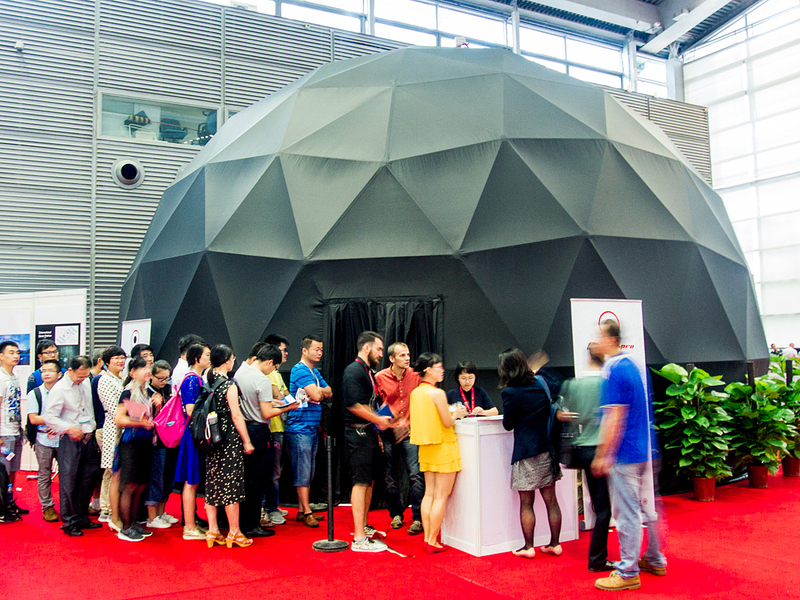 The dome was such a hit it drew the attention of China Central Television (CCTV), who interviewed our staff, to discuss the features and advantages of the Fulldome.pro system, the broad range of content available and how the modern digital environment and the latest dome and projection technology makes fulldome cinema an ideal media platform for art, education, entertainment and science.